It's been over a month since the last newsletter, but we came up with an idea, and we're quite sure you're going to like it. 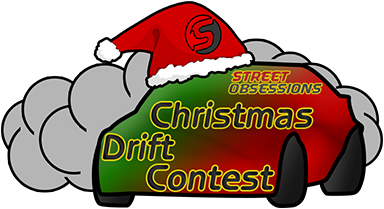 Yes, we're holding a Christmas Drift Event. No, it's not going to be a complicated event. There are going to be two qualify runs, runs are done one after another. Runs are going to be scored from 0 to 100 points. Of course there are also going to be PRIZES! Prizes are going to be paid in InSim money after the event. The event is going to take place on the 27th of December at 6:00 PM UTC. You can sign-up for the event and/or ask questions here.